It's time to swing into summer. I'm ready to dip my toes in the sand and breathe in the fresh sea air. 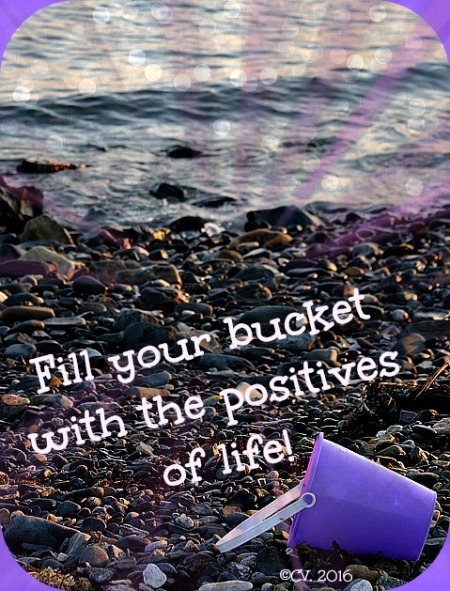 There's a bucket waiting at the beach for me, along with the myriad of other colored pails. Sometimes, I fill my bucket with shells and rocks, but at the beginning of the season I place my bucket list of all the positives that summer can offer deep inside. I'm ready to recharge, reflect, and renew life (charge set off earlier this week). Celebrate summer starts with me. 3. 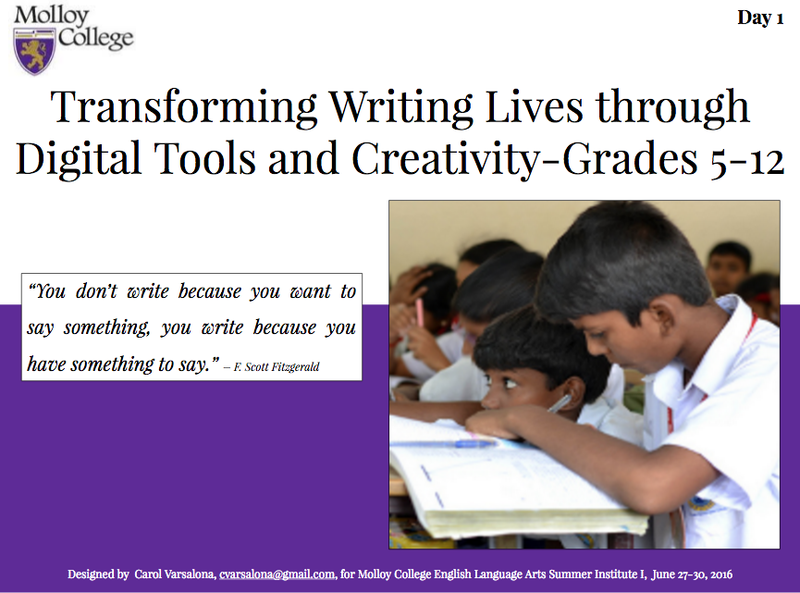 Continue writing and creating digital inspirations. I hope you wonder alongside me as I enjoy the summer months. 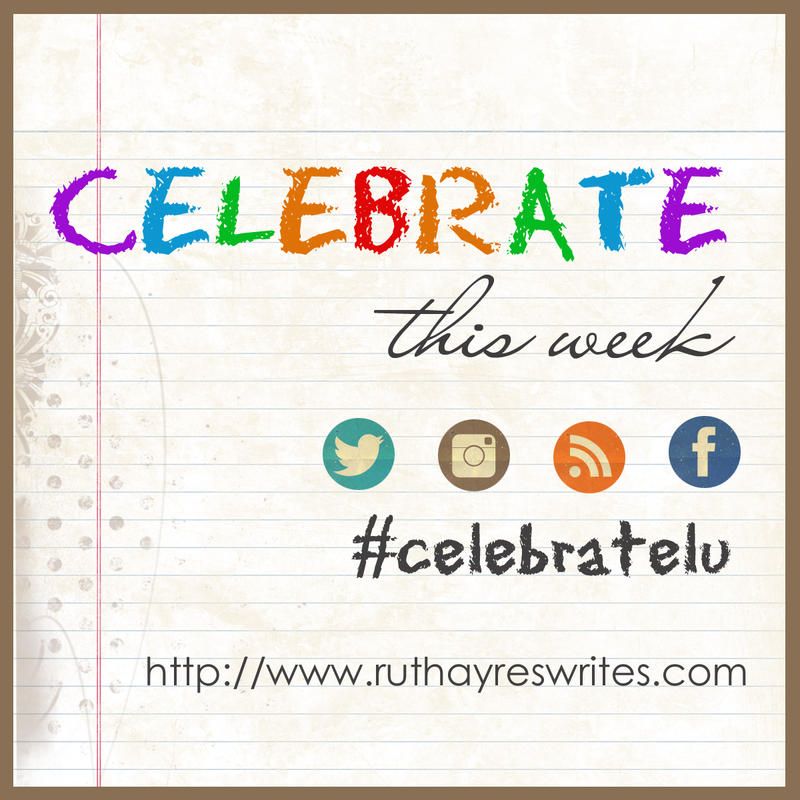 Please continue to read how others celebrate their week by visiting Ruth Ayres' blogging community, Celebrate This Week, that is built on the positives of weekly life. Today during yoga class, in the dim light of the studio, my heart centered and connected with others. There was a sense of calm in the room as the teacher led us through a series of movements to find our balance and inner peace. It was just an ordinary day but the difference was in the feeling that I felt as I left the studio. As the day progressed, I was not swayed by the unexpected "stresses" of life. It was just an ordinary day but I observed it in an unordinary way for me-calmly throughout the entire day. 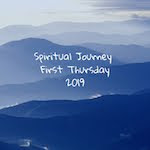 The heart is at the center point of all beings-where the energies converge...where you connect with self and one another. Throughout the day, I continued to feel the energy that emanated from my yoga practice. 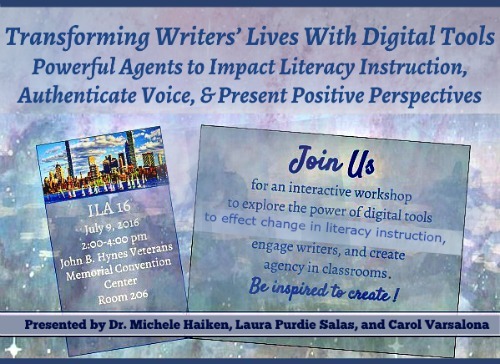 I created, designed, and moved closer toward the completion of my team's ILA 16 Conference presentation, amidst the usual household tasks. After many edits and arrangements, the flyer for the session was completed until just now. I sit here shocked that I missed one small edit that was needed but thanks to today's heart centering, I made it through one more rewrite. This is positivity at work. When I first wrote the poem below, little did I know that it really was from my heart center. It found its way to a public forum as the backdrop for my Meet the Presenter page in the ILA 16 slide presentation. Spring is still in the air, despite the fact that we are now officially part of summer. Spring holds a special sentiment for me. Delighted, I examine the offerings for my gallery, Spring's Seeds, that will find its way into a gallery formation soon. For now, I read and write and think spring with poet Amy Lowell. Bath The day is fresh-washed and fair, and there is a smell of tulips and narcissus in the air. Lowell moves throughout her day speaking of the spring in a calming but exuberant manner. She allows the reader to enter into her day and see spring through her eyes. Pale blue lavender, you are the colour of the sky when it is fresh-washed and fair . . . I smell the stars . . . they are like tulips and narcissus . . . I smell them in the air. 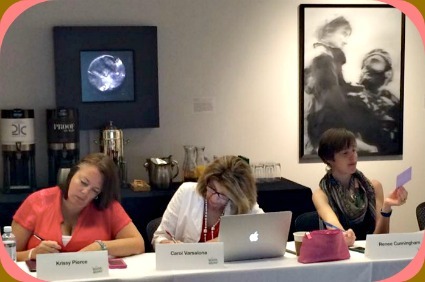 You can read the Amy Lowell's Spring Day at Poetry Foundation here. Stay tuned for Spring's Seeds Gallery to be unveiled. 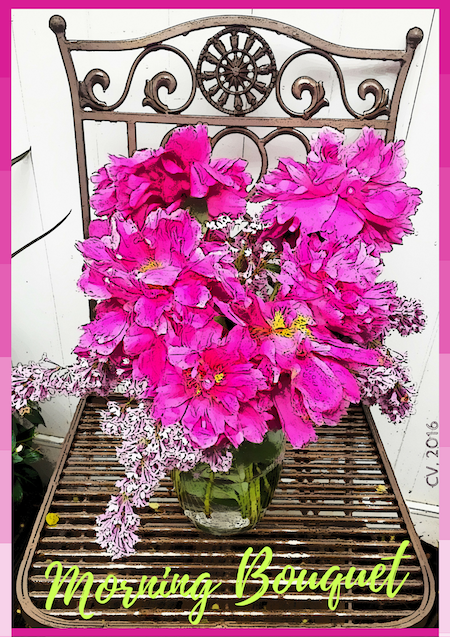 While you are waiting, you can view digital seeds of inspiration at the hashtag, #SpringsSeeds, and watch the photolog video here. In the gallery, you will find the 2016 Progressive Poem and many other digital compositions that sprouted from seeds of inspiration. I hope you join me at my garden when I announce its opening. Now, please visit poet, librarian, researcher extraordinaire, Diane Mayr, at her site, Random Noodling, for today's Poetry Friday Round-Up. As the 2015-16 school year draws to a close here in New York State, it is time to reflect on all the positives. Last night, #NYEDChat brought its year to a close while the strawberry moon was floating in the sky (not to be seen by me-oh, well). Connected educators celebrated sharing the pulsebeat of the possible. They gathered as a tribe to move beyond oneness, banding together to strike a balance in a world of dissonance. Why did we come from near and far to gather? It was for the right reasons-to celebrate our professional and personal learning with each other. 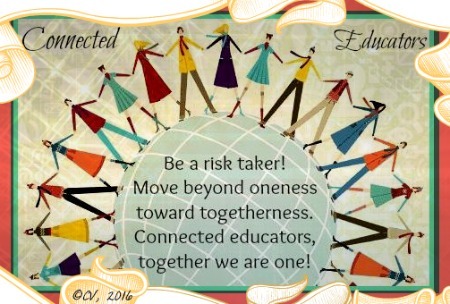 With new and veteran #NYEDChat members, the roar of voices conversing reached beyond our state last night. Educators and even a student leader from New Zealand, James Anderson, connected, despite our distances. We listened, leaned in to learning, and most importantly chatted about the positives of the year. Emily Pascual from the upper part of New York State joined in the conversation with a statement from the heart. 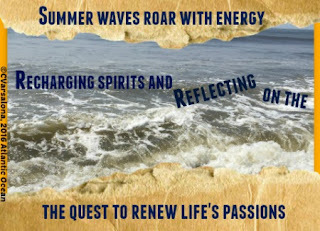 We may have closed the doors for the summer months at #NYEDChat last night but we know we will return at the end of the summer and share new learnings and the positive moments of our summers. The countdown to summer relaxation begins this week. 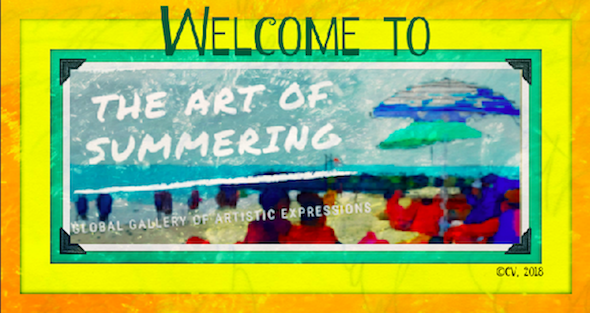 It is time to direct attention to our summer bucket lists that should recharge our batteries. This summer, luxuriate in relaxation, reacquaint yourself with your passions, pick up the book that has been waiting for you, and enjoy downtime, a precious commodity. Let your mind wander to creative spots to renew your energy for another new year of life and learning. Before I close, I would like to give a shout out to the #DareToBe Community led by my Twitter friend, Andrea Sanchez. When I joined the chat midstream tonight I heard the word recharging and knew that I was in the right spot. The conversation recharged my energy and focused my thoughts as I listened to the ideas of others and tweeted along. By the end of the chat, I refueled my energy so that I could wrap up this slice. If you don't take the time to recharge, you risk the chance to savor the sweet moments of life. Recharging is a necessity of life. It is the spark to reflect and renew our spirits. 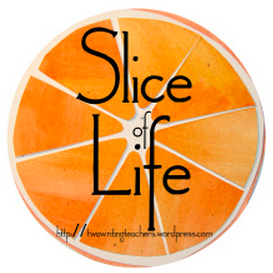 Every Tuesday, Two Writing Teachers call together educators to write Slices of Life. Visit the site here to read this week's posts. Slicers, may your summer days be filled with relaxation and rejuvenation. Leaning into learning is a practice I engage in as a teacher learner to hone my craft and extend my learning. This past week, I was privileged to lean into learning at the Wonder Lead Ambassadors Retreat in Louisville, Kentucky. The creative teams of Wonderopolis and Brains on Fire facilitated the Retreat with a motivational program that lit inspirational sparks. Through a series of gamestorm activities and conversation, a sense of connectedness filled the conference room each day, allowing a team of new acquaintances to become a tribe. By the end of the retreat, bonds were formed and a call to action evolved. Raise our telescopes up (as Galileo did centuries ago). Examine our values and beliefs. Walk the path of the unknown. and scale old walls to move on. Fired up to engage in our mission, I left the retreat motivated to turnkey my new learning, continue to engage others in the act of wondering to learn, elevate my voice, and encourage others to do the same to be part of the digital change revolution. Please take a moment to watch some highlights of the retreat. On the airplane ride home, I continued to wonder as the clouds rolled by. The following digital composition started as an original photo taken from airplane. 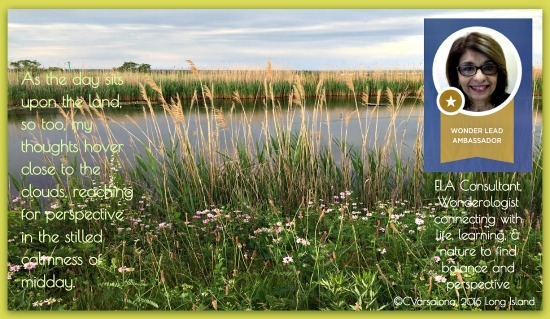 When I returned home I digitalized the #imagepoem to give it a new perspective on the impact of noticing and wondering. I celebrate the learning from the Wonderopolis three-day retreat in Louisville. I celebrate being a Wonder Lead Ambassador who continues a journey of noticing and wondering started as a child with a pencil, a notebook, and an immense curiosity of the world. In addition, I celebrate life and the wonders of it. 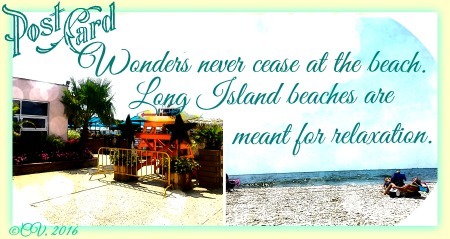 This post can also be seen on the Wonderopolis Wonder Ground, entitled Wonder To Learn. 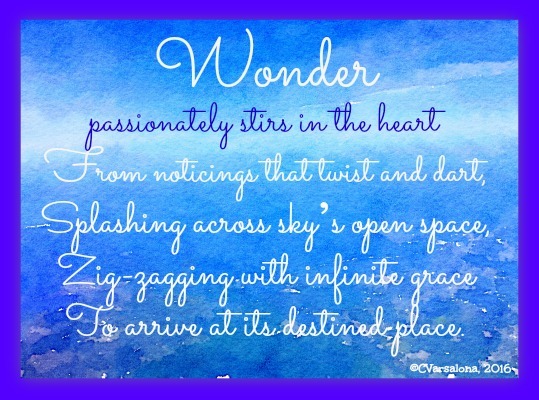 Be a wonderologist and bring the wonders of Wonderopolis and Camp Wonderopolis to learners. Over the course of years, I have learned the merits of noticing and wondering. From seeds of wonder, curiosity grows and inquiry paths shape thoughts. After a three day retreat for the Wonderopolis Wonder Lead Ambassadors in Louisville, Kentucky, I have gained a new awareness on the topic of wonder with its multilayered dimensions. I reflect on the power of voice to spread a universal message: wonder is the underpinning of inquiry. With this message comes a call to action-ignite the flame of learning for every child and adolescent. Today, Poetry Friday is being celebrated at Carol's Corner, hosted by my writing colleague, Carol Wilcox. The darkness of the night surrounds. There is peace in its quiet. 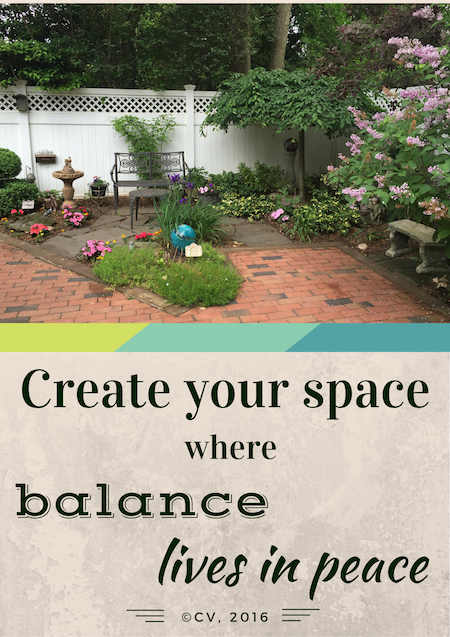 I am grateful for the time just to sit and be still after the long day of inside and outside homeowners' issues. The lull of the air conditioner allows for a transition to semi-sleep but I wake several times during the night thinking of the undone tasks waiting for me. Earlier in the afternoon, my gardener responded to my SOS call. Over the weekend, I was surprised to find that the expensive serpentine tree transplanted to the front garden had lost its leaves. When my gardener came to my rescue he just stared at the tree. I gasped, "Is it dying?" He calmly replied, "Let's just wait a week and see if the tree is just in shock." SHOCK is what I was in. After I blurted out the inside problem, Matt assured me that the tree is minor compared to the inside house issue. Just prior to the gardener's arrival, I had a visit from the remodeling crew. My husband and I have been trying to uncover the cause of a leak in the corner wall in my laundry room for over a year. We have had several service people come in and there has been no definitive answer until this visit. Luckily for me, the gentleman found the culprit, a caste iron wasteline pipe. Of course, not knowing the immensity of the problem, I asked how does that get fixed. "With caution. These pipes are very heavy and are part of the structure of the house. Experts are needed." Well that leaves me out and so my husband and I turned to my insurance agent who advised me to call his expert plumber. 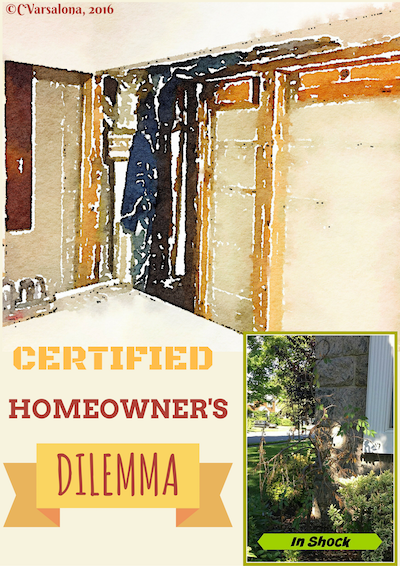 I sit here in the quiet of the morning light, waiting for my day to unfold-breathing in and breathing out-grateful that there are "experts" to handle inside and outside homeowner's issues. "When life hands you lemons, turn them into lemonade." 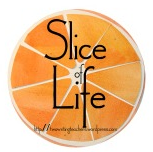 You can access the site to read more slice here. Each day, I am amazed by the new growth in my gardens. Vibrant colors are popping. The soaking rains that come nourish the plants so they can stand tall. My Nonnie who had the most amazing green thumb must be smiling from her heavenly throne as she looks down on my flower and herb gardens. I celebrate spring's seeds in honor of her. I am excited about the growth of a virtual garden at Twitter under the hashtag #SpringsSeeds. 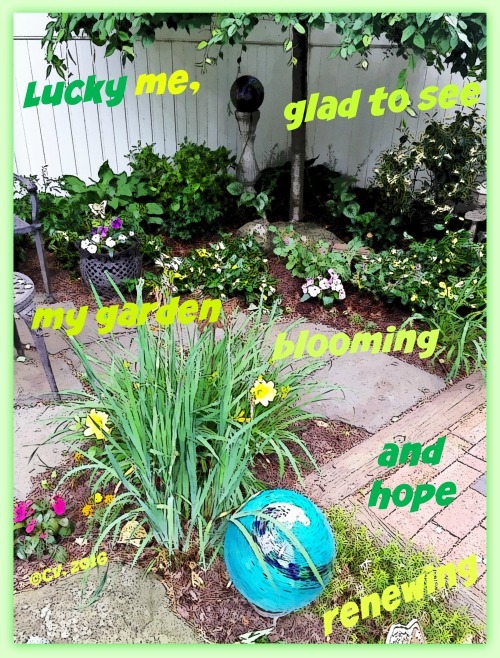 #imagepoems there will soon be transplanted to my upcoming global spring gallery, Spring's Seeds. 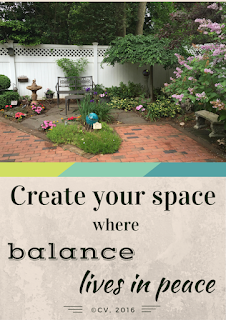 My goal is to declutter one room at a time now that my outside space is reimagined and clutter-free. I created a short video illustrating the renewal of life around the world. You can access this photo gallery, Spring's Seeds Inspirations, here. #celebratelu bloggers, Terje Akke, Linda Baie, and Margaret Simon, have their photos featured among other photographers in this trailer for my upcoming spring gallery. I was the host of Poetry Friday yesterday and the poetry garden party is still going on at my blog site. Please gather in my garden to read through some posts and/or submit your own thoughts. From my post Slice of Spring. 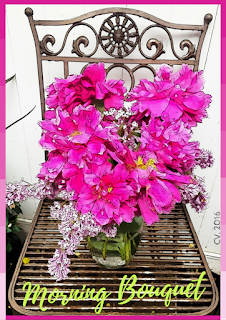 I celebrate spring's seeds that have bloomed into June gardens. I will be unveiling my virtual garden gallery this month. 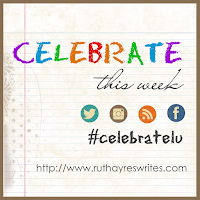 I join Ruth Ayres' at Celebrate This Week site to celebrate the positives of this week.